Despite the title of this book, Ghost is not a scary story as such, but still has that kind of chilling atmosphere you get with a ghost story. Augusta lives with her grandmother in Langlands House, a large, decrepit sounding place hidden deep in the Scottish countryside. With no other relatives, she relies completely on her grandmother to look after her. To keep her safe, her grandmother insists that she hides away on the rare occasions that anyone comes to the house. When Tom and his father come to do some repairs Augusta, daringly, makes contact with Tom. Soon after, her grandmother goes to town one day to collect supplies but doesn’t return. Just when Augusta is beginning to wonder how she will cope, Tom comes back again and their meeting will change her life. Ghost was a book which I was glued to while I was reading it. I couldn’t wait to find out exactly what was happening with the grandmother and Augusta and why Augusta had to be hidden away. It was fascinating to read about their way of life in this house with no running water, no electricity and no contact with the outside world. As I read, I began to have my suspicions of what had been happening, most of which were confirmed, but there was so much more to discover. It may seem odd that a young girl would believe what she was told without questioning but this was someone with no contact with the outside world whatsoever and given plausible reasons why this should be the case. She had no reason to think that her grandmother, the only person she had in the world, the person who looked after her, would lie. When Tom arrives in Augusta’s life, it is fair to say that he shows her a very different version of the world than that which she is used to. Tom was a lovely character who really wanted to help though I felt he made some rather naive decisions but then with Augusta only just about to turn 18, I suppose he was rather young too. There was a really claustrophobic feel throughout the book. Augusta’s world is very limited with the house and its grounds being all she knows. Langlands House with all its creaks and groans is most definitely a significant character in itself. It felt like it was keeping a watchful eye over Augusta, guarding the secrets of the past. In a way, the book reminded me very much of Daphne du Maurier’s Rebecca. It was an intense and broodingly atmospheric novel. I went to the Edinburgh launch last week and it was interesting to hear about how the author’s love of abandoned old houses was the inspiration for the story. Having now read the book, I can also say she did a very good job of keeping the secrets of the story – just as Langlands House itself guards the secrets of its past and present. Augusta McAndrew lives on a remote Scottish estate with her grandmother, Rose. For her own safety, she hides from outsiders, as she has done her entire life. Visitors are few and far between – everyone knows that Langlands House is haunted. One day Rose goes out and never returns, leaving Augusta utterly alone. Then Tom McAllister arrives – good-looking and fascinating, but dangerous. What he has to tell her could tear her whole world apart. 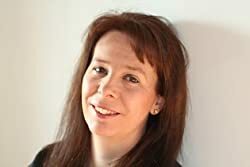 Helen Grant writes thrillers with a Gothic flavour and ghost stories. Her first novel, The Vanishing of Katharina Linden, was shortlisted for the CILIP Carnegie Medal and won an ALA Alex Award in the US. Her other books include the exciting Forbidden Spaces trilogy. 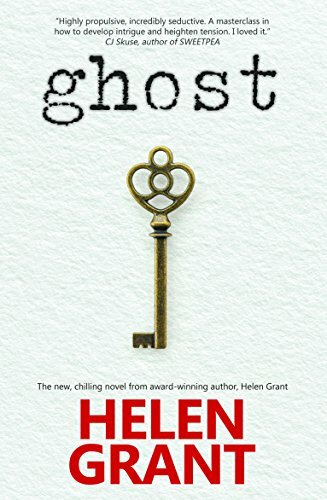 Helen’s latest novel Ghost (Fledgling Press 2018) is set in Perthshire, where she has lived since 2011. When she is not writing, Helen loves to research the lost country houses of Scotland and to visit the sites where possible. Her experiences of exploring these fascinating places inspired her to write Ghost.